This class is suitable for complete novices! Italian Pasta Class + Instant Italian Menu Expertise! 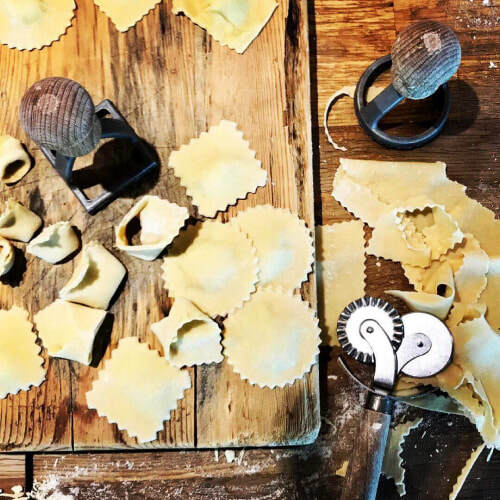 Learn some Italian while making Pasta from scratch in this great pasta class! 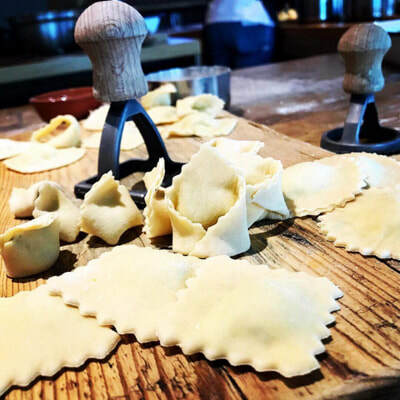 In this class you will be guided under expert tuition and shown how to make pasta, sauces, condiments, using the best quality fresh ingredients. Enjoy your handmade creations afterwards with perhaps enough to take home! 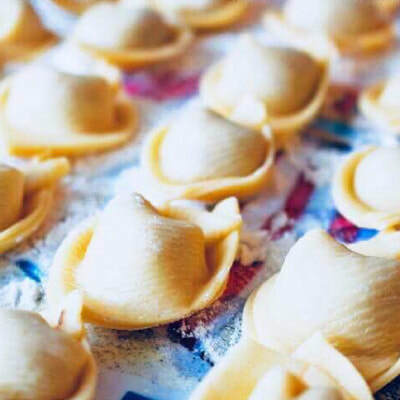 Elisabetta will show you how to make a number of different filled pasta shapes and you can explore all the wonderful different types of pasta shapes - once you start, you will want to make pasta every day! 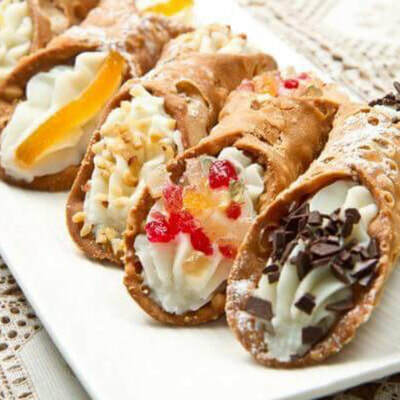 In addition, to finish off your meal, you will be making filled cannoli for dessert! During the class, Elisabetta will also guide you through all the commonly mispronounced Italian words. Perfect if you are not confident when ordering from an Italian Menu! Did you know there are more than 70 types of pasta shapes? Also everyone will get a quick lesson on making beautiful filled Cannoli for dessert! This class is currently only available as a private class. The time and date can be arranged with our chef. Prices start at just £300 and this price includes up to 6 people. For groups larger than 6 people, the price per person is just £45 per person. The class will take place at our central location in London. Really easy to get to - just 2 stops from Kings Cross Station. Learn how to make Pasta and Italian! 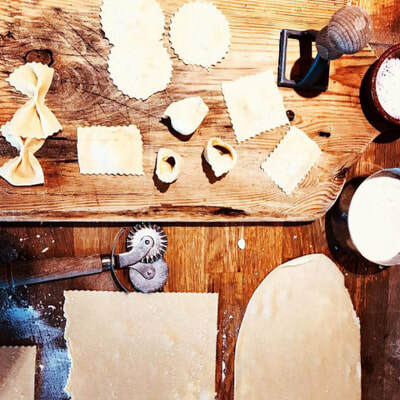 Step by step instruction from making and rolling the pasta dough, preparing and mixing the filling, forming the different pasta shapes and cooking them! Pasta Making Masterclass for complete novices. We will discuss different Italian ingredients and fillings, and show you how to get the best out of the equipment - pasta rollers, shaped cutters and pasta cutters. 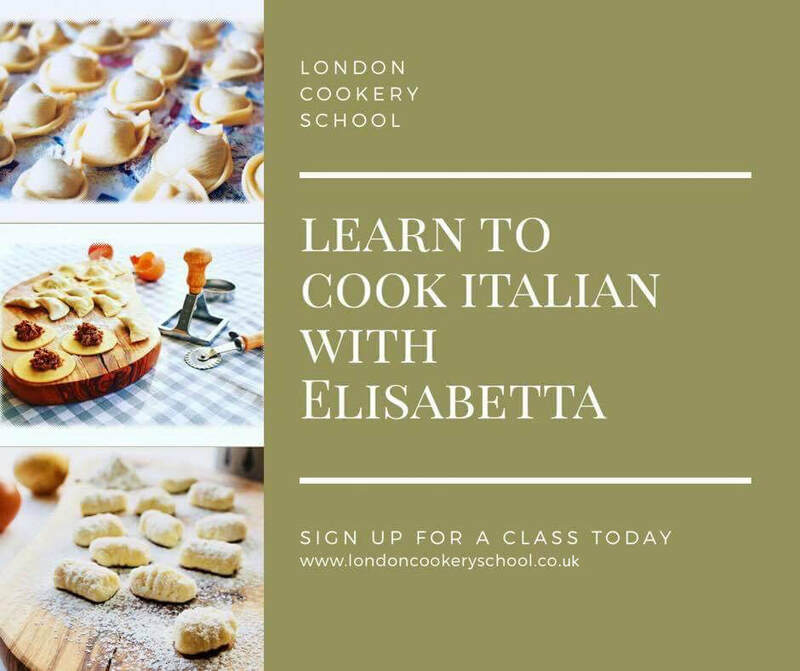 The class lasts approximately 3 hours - roughly 2 hours of fun making a range of pasta and shapes, and 1 hour of cooking, chatting, picking up more Italian, eating the delicious meal you have created, and all your questions answered! 3 hour hands-on workshop covering everything you need to know to learn to make Pasta confidently! 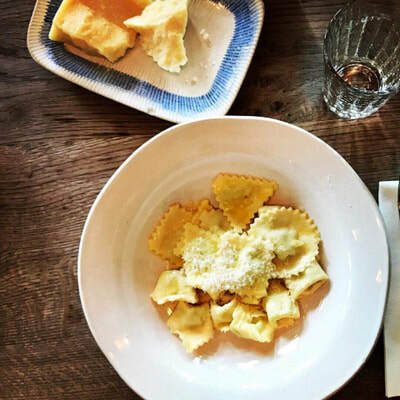 A lovely meal afterwards where you can enjoy your own handmade Pasta! Once you have mastered Pasta making why not throw a party and invite friends to admire your creations? Fool-proof pasta making class for novices! We are happy to host your event for one of our great classes. Private classes can also be tailored depending on your budget and availability.